The flattening the extrados of the tube during the bending process. Reduction is in tension with wall thinning. Generally, to the extent that reduction is decreased, wall thinning is increased. 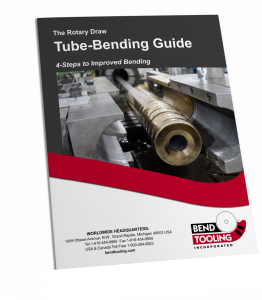 Using assist pressure (or in extreme situations, boost pressure) mitigates both reduction and wall thinning by causing material to flow from the back tangent into the arc of the bend. Excessive direct pressure and other causes of drag will exacerbate reduction.